We are the main organisation commissioned by Norfolk County Council to provide VCSE engagement in Norfolk. We have links to over 5,000 organisations, volunteers and community champions within the county. This strategic engagement work championing the voices of the VCSE sector and building positive relationships with partners is complimented by our community and organisational development services. 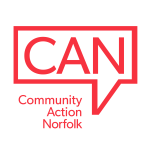 Community Action Norfolk provides direct support to around five hundred organisations reaching a third of Norfolk’s communities each year. This gives us significant insight as well as the practical skills to assist you in a number of areas. Training on rural impact assessments and key rural issues, tailored to different groups from senior leaders to those involved in service commissioning and policy development. Evidencing rural issues and need. Supporting the process of developing and imbedding an effective rural impact assessment process. As the community becomes a more important part of the service delivery mix, we can help you to develop and deliver community led solutions. Our community development experience allows us to run programmes effectively and our independence and flexibility allows us to do this without the barriers and constraints that often make delivery hard for public sector partners in this area. We are the leading organisation supporting VCSE engagement in Norfolk. Our reach and expertise can help you build positive relationships with sector organisations from strategic to operational and grassroots levels. We can work with you to build the right interfaces to ensure the voices of the VCSE sector are effectively represented within your organisation. From our work we have a unique body of intelligence on the nature, issues and delivery of VCSE organsiations in Norfolk. We can use this to help you develop a better understanding of the sector and how it relates to your strategy, policy and services. We can provide training to help your teams develop a better understanding of the nature of the VCSE sector in Norfolk. We can provide consultation and engagement services to meet your needs from place based planning to focus groups and interactive media sessions. Whatever your goal we have both the reach and the practical experience to support genuine consultation and engagement. Community Action Norfolk offers a range of support services for forums and networks, including administrative support, planning and communications. This can not only help with the practical aspects of delivery but also ensure forums and networks are seen as independent. We can help you build contacts across the voluntary, community and social enterprise sector and beyond.